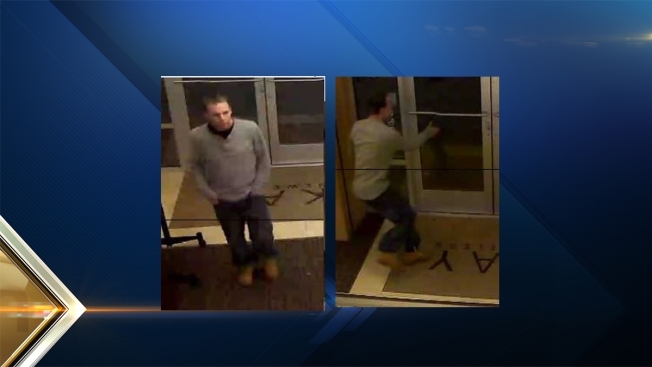 New Hampshire Police are looking to identify a suspect involved in jewelry theft. Around 8 P.M. on November 13, the suspect posed as a customer and viewed merchandise at Kay Jewelers at the Merrimack Premium Outlets. He then fled the store grabbing diamond earrings valued at $13,999.00. The suspect pictured is described as a white male in his mid to late 20's, with dark hair, a gray thermal shirt, jeans, and tan work boots. Anyone with information is asked to call the Merrimack Police Department at 603-424-2424.